Toronto is an amazing destination for foodies and we already wrote about the best pastry shops and bakeries in the city. If you are looking for a romantic spot for a special celebration, the restaurants that made our list offer plenty of choice. Enjoy contemporary Canadian, Italian, New American, Asian fusion, French, Mediterranean, North African, Eastern European and many other flavors. Toronto’s retro Universal Grill serves a menu of upscale comfort foods for both dinner and weekend brunch. Treat your taste buds to amazing dishes such as the Oven Baked Rigatoni, Rajah’s Dry Ribs with yam fries, or the Wild Sockeye Salmon Nicoice. Alternatively, you can pop in for brunch and grab something like the Potato Latke. They also have a nice selection of wines. Universal Grill has been a favorite among Torontonian diners since 1996. 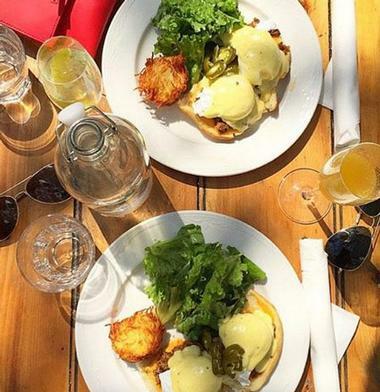 You will find this chic, bistro-style restaurant nestled between Toronto’s Seaton Village and the Davenport neighborhood. Best things to do in Toronto, Canada for couples include: the Art Gallery of Ontario, High Park and EdgeWalk at the CN Tower. The Chase is a rooftop restaurant that offers a contemporary New American menu and a casually elegant atmosphere. Expect small plates with big flavors, such as the beef tenderloin, the Pearl Platter (oysters, crab, shrimp, tuna, and the daily chef’s selection), or the Lobster Pappardelle. Restaurateur Steven Salon (of BLT Prime New York) opened The Chase in 2013 and is joined by acclaimed Executive Chef Michael Steh in the kitchen. The dynamic duo also manage The Chase’s nearby seafood-focused sister restaurant, The Chase Fish and Oyster. 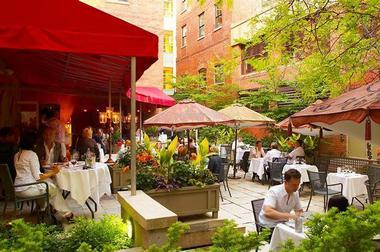 You can find this fabulous restaurant in the Financial District. 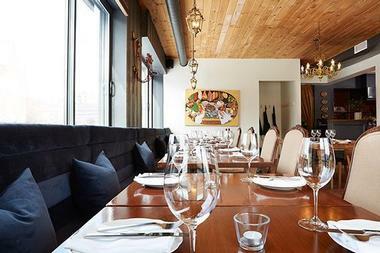 Located in Toronto’s Portugal Village neighborhood, Gusto 101 is the popular neighborhood Italian eatery occupying a space of a former garage, wonderfully decorated and repurposed, with high ceilings, an open kitchen, long communal tables, and a huge outdoor patio. The place is extremely popular and quickly gets packed, so be prepared to wait. The menu offers simple Italian country dishes with the focus on their quality ingredients. It is Southern Italian food with a contemporary twist. Try their antipasti dishes such as tagliere misto or carpaccio or indulge in the ravioli alla Norma or rigatoni Bolognese. You cannot go wrong with one of their delicious pizzas. They use a wood-fired Tuscan grill to prepare delights such as chicken with artichokes, field mushrooms, soft egg, pecorino, and lemon. Their bar is well-stocked and they offer imaginative cocktails, a nice list of wines to go with your meal, and a popular wine on tap. 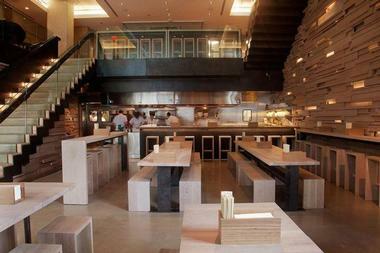 Momofuku Noodle Bar is a trendy Asian fusion restaurant that specializes in ramen noodles. Stop in and try the Ginger Scallion Noodles, Pork Buns, or the Okonomiyaki. They also offer a fried chicken meal that feeds four to eight with two whole fried chickens (one Southern-style, one Korean-style) and several sides. Beer, wine, sake, and cocktails are also available. Chef David Chang originally founded Momofuku Noodle Bar in New York City in 2004. 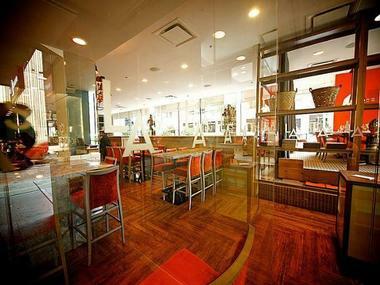 He opened the Toronto location (by the same name) in 2012 and brought in Executive Chef Sam Gelman to head the kitchen. You will find it in Toronto’s Queen Street West neighborhood. 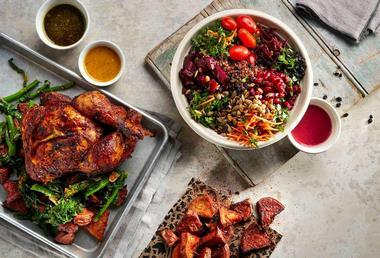 With five spots all over Toronto, Flock Rotisserie + Greens is a neighborhood favorite for classic delicious rotisserie chicken served with nutrient-packed fresh salads, four of which are vegan. That way kids can get their favorite crispy chicken and still have all the vitamins. Flock shows that it is possible to get a quick meal of everyone’s favorites while eating healthy. They offer lunch and dinner, and their chickens are raised naturally, without hormones or antibiotics. Their location on Harbord Street is delightful, with long red banquettes and a wonderful sidewalk patio. There is a full bar, so grab a beer with your pulled chicken sandwich or a glass of wine with your soup and salad. 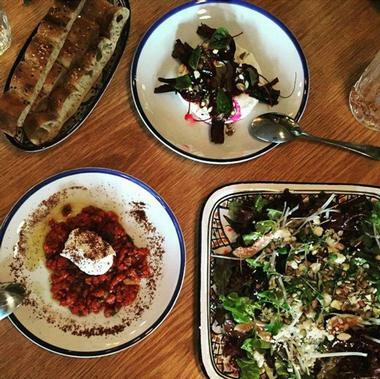 Byblos is one of Toronto’s newest and hippest eateries that serves incredible Eastern Mediterranean and North African cuisine with strong influences from both traditional and local ingredients. Treat yourself to amazing dishes such as the Turkish Manti Dumplings, Whole Boneless Branzino, or Oxtail Basmati Rice. An exquisite, large group, prix fixe menu is also available, boasting tempting dishes like Duck Kibbeh. Restaurateurs, Hanif Harji and Charles Khabouth, opened the eatery in 2014, while Executive Chef Stuart Cameron commands the kitchen. 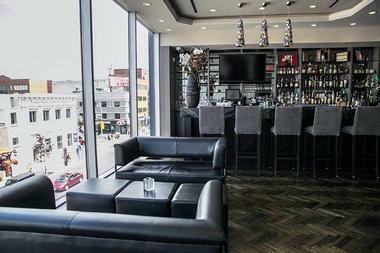 Byblos is nestled between the Queen Street West neighborhood and the Entertainment District. DaiLo restaurant serves Asian fusion foods with distinct Chinese influences. The menu features tasty dishes like Satay Grilled Quail and Crispy Octopus Fresh Roll. Upstairs, you’ll find the LoPan dim sum snack and cocktail bar, where you can enjoy plates like the Hakka Brown Wontons or Korean BBQ Ribs. DaiLo is a Cantonese term of endearment, meaning big brother or big boss. Renowned Chef Nick Liu opened the place in 2014 bringing his passion for Asian foods to his enthusiastic and eager patrons. DaiLo is situated between Toronto’s Dufferin Grove neighborhood and the Discovery District. Café Polonez is an acclaimed restaurant offering an authentic Polish home-cooked culinary experience and other Eastern European fare in a bright, casual atmosphere. Savor the traditional flavors of Poland in incredible dishes such as the Beet Root Soup with Dumplings, Cabbage Rolls, Polonez Schnitzel, or Polish-Style Sandwiches. Accompany your meal with something from their wide selection of Polish beers and spirits. 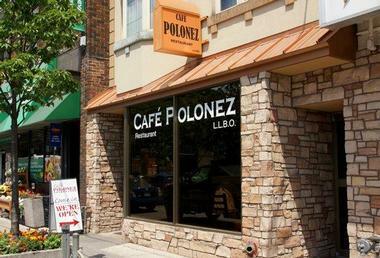 Café Polonez is a family-run establishment that has been a local favorite since it opened in 1981. Visit this charming eatery in the heart of Toronto’s Polish community in the Roncesvalles neighborhood. 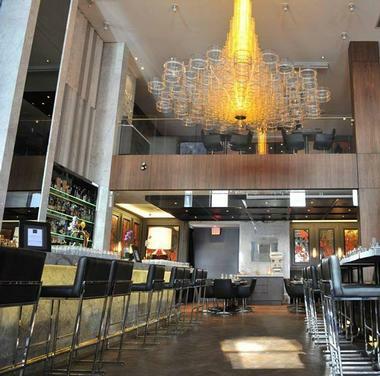 The Forth is a trendy new restaurant serving contemporary Canadian fare in a sophisticated setting that blends an unforgettable dining experience with a happening nightlife. Savor incredible eats such as the Wild Boat Meatballs appetizer, Poppy Seed-Crusted Arctic Char, or Braised Bison Short Ribs. The upstairs lounge offers delicious, seasonal cocktails and a separate snack menu, as well as beautiful views of the Church of the Holy Name. Owner Chef Chris Kalisperas opened the establishment in 2014 and is joined in the kitchen by Executive Chef Zachary Albertsen. You will find The Forth situated between Toronto’s Blake-Jones and Playter Estates neighborhoods. 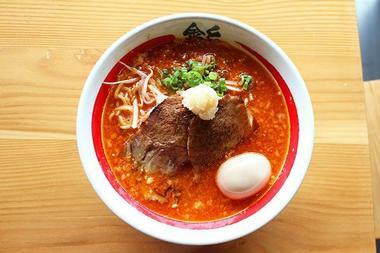 Kinton Ramen is a trendy eatery that offers patrons a fabulous Japanese noodle soup experience. You customize your entire meal. Choose a pork or chicken base, flavors of your liking (such as Miso or Spicy Garlic), thin or thick noodles, meat (pork belly, pork shoulder, or chicken breast), and any additional toppings (like sweet corn or seaweed). Beer and sake selections are also available. The Kinka family, who also owns Guu restaurant, opened Kinton Ramen in 2012 and now have three locations across Toronto – one near Kensington Market, another in Koreatown, and one more in the Alexandra Park neighborhood. NAO Steakhouse is an innovative contemporary steakhouse, where the spices and flavors from the Asian Pacific enhances and accents the tempting dishes. 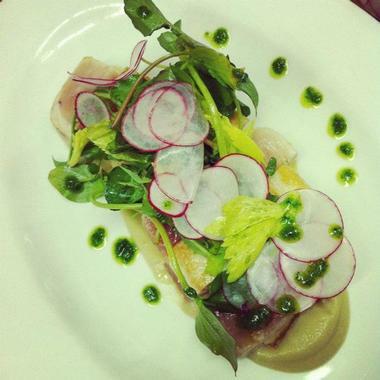 Dine in comfortable elegance as you treat yourself to exquisitely prepared dishes such as the Sea Bass Ceviche, 12 oz. Kobe Ribeye, Hamachi, or the Binchotan Grilled Shishito Peppers. A prix fixe menu is available for larger groups, and the restaurant also offers sake and cocktails. NAO Steakhouse is an INK Entertainment and ICON Legacy Hospitality endeavor headed by restaurateur partners, Charles Khabouth, Hanif Harji, Tim Foley, and Chef Stuart Cameron, who opened it in 2014. 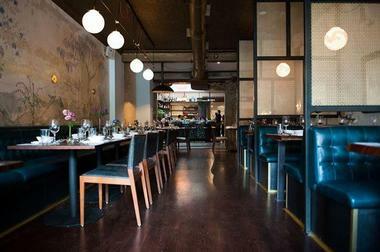 NAO is located between Toronto’s Yorkville and Rathnelly neighborhoods. The Citizen is one of the friendliest hangouts in Toronto, and they serve a delicious array of Canadian comfort food and incredible craft cocktails – all made with fresh, local, seasonal ingredients. Whether you’re going on a date, catching the game, or simply enjoying a night out, this neighborhood bar is the place for you! Stop in and try the BBQ Miami Ribs, Feature Taco, or Asian Shrimp Lettuce Wraps. Grasshopper restaurant is a trendy café that serves incredible vegan and vegetarian snacks, meals, and fresh juices in a chic, intimate setting. Their menu is comprised of tasty dishes such as the Beef ‘n Mushroom Satays, Quinoa Mac ‘n Cheese, Chick-un Banh Mi, and the Burger Platter. Try a delicious fresh juice like the Banana Chai, which is a favorite. Many options are also gluten-free. Be sure to save room for dessert! 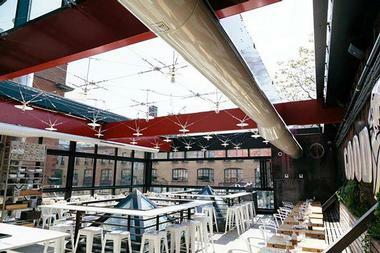 Beer, wine, cider, and signature cocktails are also available. First time restaurateurs Roy Qian and Oliver Chen opened Grasshopper in 2014. 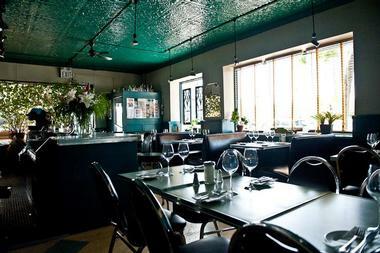 Their charming eatery is situated on the edge of Toronto’s Discovery District. FIKA Café is a chic, sophisticated, Swedish-inspired eatery that serves fresh coffee drinks, fresh juices, soups, sandwiches, and salads. Stop in for lunch and try the Grilled Cheese with Prosciutto Sandwich or Quinoa Salad with Grilled Chicken. Their weekend brunch menu boasts incredible pastries and a FIKA Smorgasbord. “Fika” is a Swedish term referring to a traditional Swedish coffee break with friends and co-workers. Inspired by her time spent in Sweden, photographer Nikki Leigh McKean and her husband, restaurateur Victor Barry (who also owns Splendido Restaurant), opened FIKA Café in 2013. 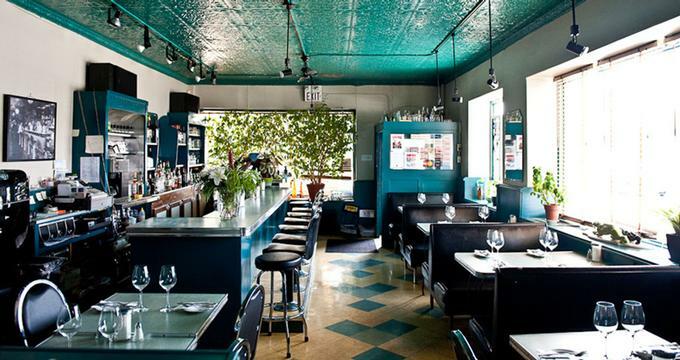 You’ll find this charming restaurant in Toronto’s Kensington Market. 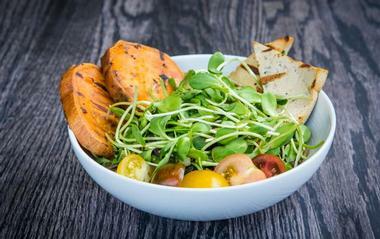 Fresh is a spectacular modern vegan/vegetarian restaurant and juice bar. In addition to their fresh juices, they also offer smoothies, immunity shots, elixirs, power shakes, and “supermilks.” Their menu boasts creative options like the Brunch Burrito, Thai Burger, Squash Tacos, or Tiger Noodle Bowl. A gluten-free menu with an astounding number of options is available too! Fresh began as a mobile juice bar called Juice for Life)in 1990, founded by world-traveler Ruth Tal. Over the years it has grown into a massive operation with four locations and a new name: Fresh. You will find them in Huron Sussex, Trinity-Bellwoods Park, North Toronto, and just south of Chinatown. 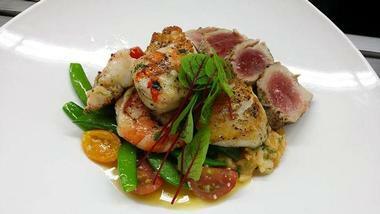 Via Norte Restaurant serves traditional Portuguese and Mediterranean cuisine with a twist. Stop in for an elegant, yet comfortable dinner and try delectable dishes such as the Carne de Porco à Alentejana, Oven Roasted Capon Supreme, or Clams à Bulhao Pato. They also have a nice selection of Portuguese wines available, which perfectly complement many of the dishes. Acclaimed Chef Jose Alves owns Via Norte and is the master behind all of its delicious creations. He has been intensely passionate about cooking since he was thirteen. You can find this beautiful restaurant in Portugal Village in the Dufferin Grove neighborhood. 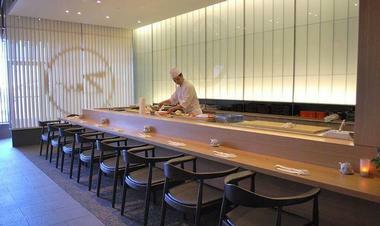 Zen Japanese Restaurant serves traditional Japanese cuisine, and happens to be one of Toronto’s top sources for sushi. You can’t go wrong with delectable eats like the Salmon Yuan Yaki (grilled Yuzu flavored salmon), sea urchin sashimi, or Deep Fried Soft Shell Crab with Ponzu Sauce. They also offer an omakase experience that you simply won’t be able to turn down. Owner Chef Seiichi Kashiwabara has over thirty years of experience as a sushi chef, and he took over Zen Japanese Restaurant in 2000. He has secured a large local following ever since. Zen Japanese Restaurant recently relocated to a gorgeous, modern location in Markham not far from Pacific Mall. Elegant ORO restaurant serves Neo-Italian cuisine with subtle accents from around the world. Savor incredible dishes such as the Venison Ragu Ravioli or Rainbow Trout (with minted French beans). Their group menu boasts delicacies like the positively divine Tagiatelle (woodland mushrooms, basil pesto, and Grana Padano), and they also have an award-winning wine list. ORO was originally the legendary Old Angelo’s before the current owners, Connie and Domenico, took over the place in 1997 and transformed it into ORO. Executive Chef Michael Crockford leads the kitchen. ORO is situated on the Downtown side of the Garden District. Oyster Boy is one of Toronto’s best oyster joints, and you can see Canada’s top oyster shuckers in action nightly – they shuck up to 1,000 oysters a night. Dive into incredible dishes like the Bellwoods Baked Oysters (with chorizo sausage, tomato, sugo, and Mahon cheese), Oyster Boy Lobster Roll, or Bouillabaisse. Oyster Boy is named after its owner, Adam Colquhoun, who earned the moniker after winning the Ontario Oyster Shucking Championship. With the help of co-owner John Petcoff, Oyster Boy started off in 1992 as a catering and wholesale business that supplied Toronto’s top chefs, and expanded into a restaurant in 2001. 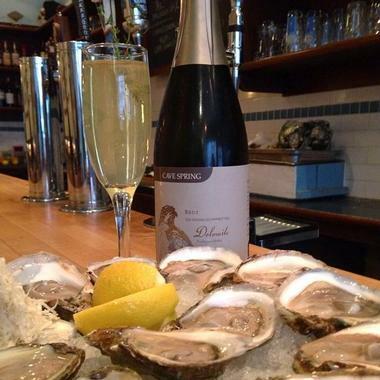 You can find Oyster Boy at Trinity-Bellwood Park. 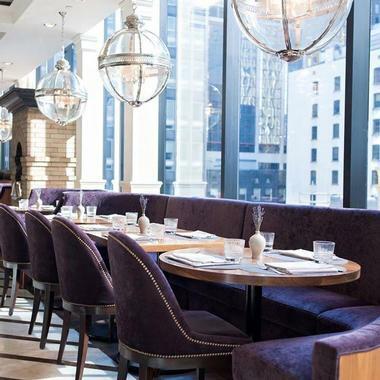 The award-winning George Restaurant serves “Toronto Cuisine” – a blend of seasonal Canadian ingredients that seeks its inspiration from the city’s broad émigré traditions. Everything is made from scratch. Treat yourself to delicious dishes, like the Three-Cheese Agnolotti with Pork Belly and English Peas, the Wild Boar with Pepper Romesco and Almond, or the Sea Scallops with Cauliflower Velouté and Black Miso. A tasting menu and a vegetarian menu are also available, as is an award-winning wine list and inventive craft cocktails. Award-winning Chef Lorenzo Loseto is the proud owner of George Restaurant. 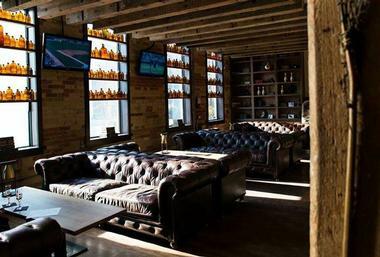 Enjoy his creations at this beautiful establishment, located in the heart of Downtown Toronto. Toronto’s elegant Union restaurant, inspired by classic Parisian bistros, serves hearty and delicious Canadian-French cuisine. The kitchen only uses Ontario farm-fresh, locally grown ingredients, ensuring Union supports local producers. The chef has a contemporary take on traditional dishes, such as the Steak Haché (fresh ground beef served medium rare with a fried duck egg), Gazpacho, or Elk Sliders. Save room for an extraordinary dessert! Owner Chef Teo Paul opened the eatery in 2009 after spending time refining his cooking skills in Paris and Italy. Head Chef Ross Goodall, a New Zealand native, joins him in the kitchen. Union is located in the heart of Downtown Toronto near the Trinity-Bellwoods Park. The cozy Edulis Restaurant offers a frequently changing, seasonal menu that mainly features French and Spanish country foods and dishes made from wild, foraged ingredients (especially mushrooms). Treat yourself to tantalizing dishes such as Crostino of Wild Striped Vizcaina, Brillat Savarin, which is layered with Perigord black truffles, or Charcoal Grilled Manila Claims. An impressive truffle menu is also available during truffle season. Culinary power couple, acclaimed Chefs Michael Caballo and Tobey Nemeth, opened Edulis in 2012 after several years of traveling the world developing and perfecting their skills. 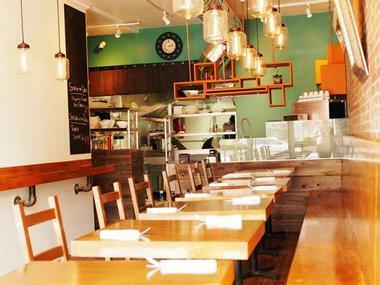 Their charming eatery is situated in the heart of downtown Toronto, not far from Stanley Park. European-inspired Campagnolo restaurant serves “traditionally modern” Italian cuisine. Savor an outstanding dining experience with dishes like the Eggplant Farinata, Roasted Bone marrow with oxtail marmalade and plums, or Sweet Corn Agnolotti. Make it a truly special night with the Chef’s intimate Bar dining experience or come with a larger group and enjoy the Chef’s Table Experience (a family-style five-course feast). Handcrafted cocktails and an extensive wine list are also available. Husband-and-wife team, acclaimed Chef Craig Harding and designer Alexandria Hutchison, opened Campagnolo together in 2010. 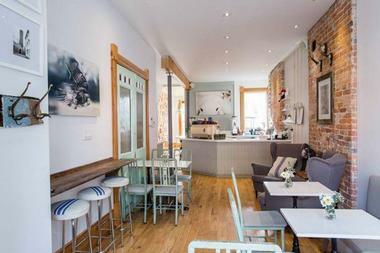 You will find it nestled between the Trinity-Bellwoods and Alexandra Park neighborhoods. Little Anthonys's Italian + Bar is a hip, trendy osteria serving Italian soul food in a casual, energetic atmosphere. Start your meal with the scrumptious Bacon-Wrapped Dates appetizer before moving on to tasty dishes like the Butternut Squash Ravioli or Bistecca with wild mushrooms, house-made gnocchi, and thyme peppercorn sauce. Cocktails and selections from a superb wine list are also available. LA’s is actually an overhaul of the landmark downtown restaurant, Little Anthony’s, owned by the family of Andreas Antoniou. He re-opened the place under the new name in 2012 after a beautiful renovation. You will find LA’s Italian + Bar in Toronto’s Financial District. Next read: 23 Best Things to Do in Toronto. Batifole has been described as “the best French restaurant in Chinatown.” Indeed, this charming French bistro is a popular destination with a lot to offer, including delicious, exquisitely prepared dishes like the Terrine D’Aubergine, Rustic Baked White Beans with Duck Confit, Sausages, and Crispy Pork Belly, or the Pan-Seared Flat Iron Steak with green Peppercorn Sauce. The restaurant also boasts a rather nice wine list. Acclaimed Chef Pascal Geffroy bought Batifole from its original owner Jean-Jacques Texier in 2013, and since then, he has brought a taste of Provencal to the menu. You will find this lovely eatery at the Old East-end of Chinatown.